Fraud Still Plagues Medicare's Prescription Drug Program : Shots - Health News More than 1,400 pharmacies billed for questionable prescriptions last year, according to the inspector general at Health and Human Services. That includes prescriptions for commonly abused opioids. More than 1,400 pharmacies had questionable billing practices last year in the drug program. 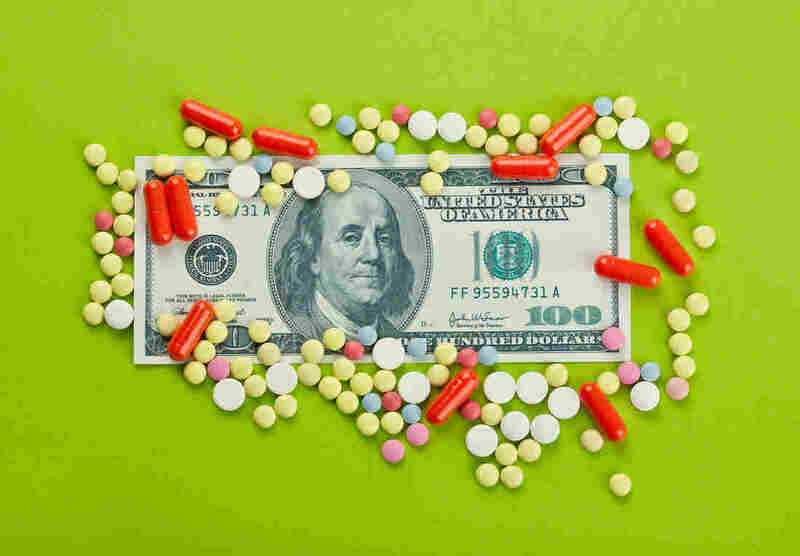 Some billed for extremely high numbers of prescriptions per patient and others billed for a high proportion of narcotic controlled substances. Collectively, they billed Part D $2.3 billion in 2014. Prescriptions for commonly abused opioids continue to rise, despite warnings about inappropriate use. Between 2006 and 2014, Medicare's spending on them grew to $3.9 billion from $1.5 billion, a 156 percent increase. By comparison, spending for all drugs in the program, including expensive specialty medications, grew by 136 percent during the same period. More than 40 percent of Medicare beneficiaries in Alabama, Tennessee, Oklahoma and Alaska filled at least one prescription for a narcotic in 2014, compared to 32 percent for the nation as a whole. 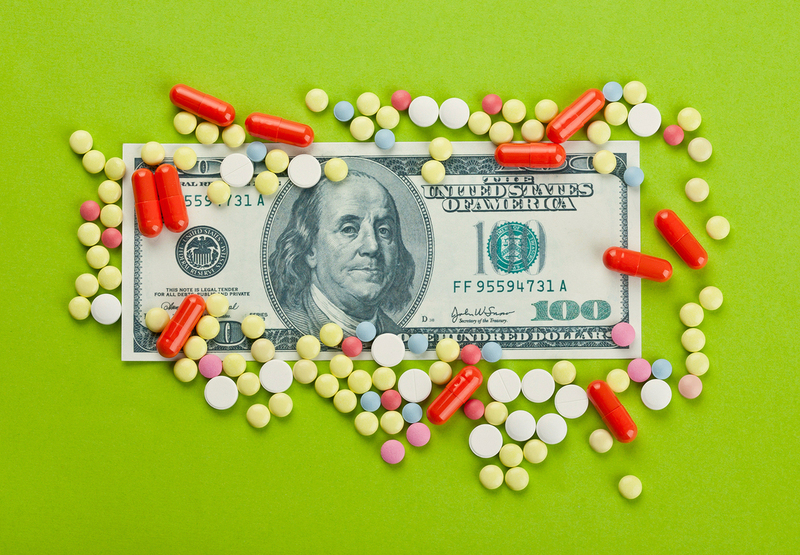 New York and Los Angeles remain hot spots for questionable prescribing, with far higher use of expensive drugs associated with fraud than other parts of the country. The New York metropolitan area, for instance, accounted for half of all prescriptions for the expensive topical ointment Solaraze last year, a disproportional rate. The drug is used for lesions formed as a result of overexposure to the sun. New York and Los Angeles also stood out for prescribing of two omega-3 fatty acids, used to help reduce very high triglyceride levels. The two regions accounted for nearly half of all prescriptions for Vascepa and about a third of those for Lovaza. The inspector general's findings come two years after ProPublica reported on how weak oversight by the Centers for Medicare and Medicaid Services (CMS) allowed abusive prescribing and outright fraud to proliferate in Part D. Medicare promised a more aggressive approach to analyzing its own data. People can use Prescriber Checkup, a tool created by ProPublica, to look up doctors and see how their prescribing patterns compare to peers in the same specialty and state. Medicare Part D provides drug coverage for 39 million seniors and disabled people, at a cost of $121 billion in 2014. It is the fastest-growing component of the Medicare program. Part D is administered by health insurers under contract with the federal government, but CMS is responsible for overseeing it. For years, the inspector general, an internal watchdog that evaluates HHS programs and investigates wrongdoing, has dinged Medicare for its failure to keep a close enough eye on doctors, pharmacies, beneficiaries and even its fraud contractors. That's beginning to change, officials say. "CMS has made progress on a number of recommendations we've made, as well as on the initiatives that they've had," said Jodi Nudelman, regional inspector general for evaluation and inspections in the New York office. "They're starting to use data to drive their strategies." At the same time, she said, "There are still concerns. More needs to be done. We can't stop here." Requiring health plans to report all potential fraud and abuse to CMS and its fraud monitoring contractors. Right now, the agency encourages plans to voluntarily report suspicions of fraud but it doesn't mandate it. Last year, the inspector general found that less than half of Part D insurers voluntarily reported data on potential fraud and abuse. Expanding reviews for questionable drug prescribing beyond controlled substances to other commonly abused drugs, including antipsychotic medications, respiratory drugs and those for HIV. Restricting patients suspected of doctor shopping—visiting multiple doctors in search of controlled substance prescriptions—to a limited number of doctors and pharmacies. CMS said it doesn't have legal authority to do this, but the inspector general said it should seek the authority, which is commonly used by private insurance companies and state Medicaid programs for the poor. During last week's Medicare fraud takedown, 243 people total were charged, including 46 doctors, nurses and other licensed health professionals. Forty-four of the people arrested were charged with fraud related to Part D.
In Miami, for example, a number of pharmacy owners were charged with health care fraud and conspiracy to commit fraud. In one case, the government charged several people with paying Medicare beneficiaries for their personal identification numbers, which they used to file fraudulent claims for drugs that were never dispensed. They worked with a clinic owner, who forged and altered prescriptions and sold them to the pharmacies. This scheme alone defrauded Medicare of $21.2 million, the government alleges. Last year, CMS announced that it was granting itself potent new authority to expel physicians from Medicare if they are found to prescribe drugs in abusive ways. The agency also said it would compel health providers to enroll in Medicare to order medications for patients covered by Part D. Currently, that isn't required. The changes were supposed to take effect on June 1, but have since been delayed twice, most recently until January 1. CMS spokesman Aaron Albright said Monday in a written statement that Medicare "works diligently with our law enforcement partners to prevent fraud in the first place and to recover payments for wasteful, abusive or fraudulent services." In addition to requiring 400,000 prescribers to enroll in Medicare by next year to order to retain the ability to prescribe in Part D, Albright said, officials are helping health plans decrease overuse of dangerous drugs and taking action against providers and pharmacies with potentially fraudulent billing practices. In April, CMS launched a web-based tool to allow CMS, law enforcemen, and health plans to share information and coordinate actions against pharmacies deemed high risk. CMS also said it is monitoring potentially fraudulent activity in geographic hot spots like the ones identified by the inspector general.